If anybody was ever going to make a splash when it entered the podcasting space it was going to be Crocmedia. 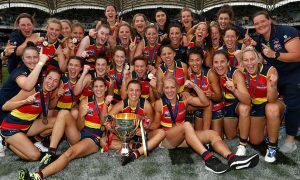 The rapidly expanding Melbourne media company run by CEO Craig Hutchison and executive director Chris Giannopoulos won the AFL radio rights late last year, which moved the business into the big league. To help manage its growing portfolio of programs and media partners the business has recently relocated to a purpose-built studio and office space in South Melbourne. While the radio rights are clearly “the jewel in the crown” for the company, podcasting looks like being a significant contributor in years to come. Crocmedia launched The Sounding Board in early 2016 with Craig Hutchison and Damian Barrett and it has now broadcast over 100 episodes and spawned three other spinoff podcasts – Sounding Board Questions, Hutchy’s Business of the Week and Damo’s Dish, where Damian Barrett reluctantly reveals his cooking skills with a recipe of the week. The podcast offers listeners an insiders guide to the sports media industry, with a heavy focus, but by no means exclusive, on AFL. 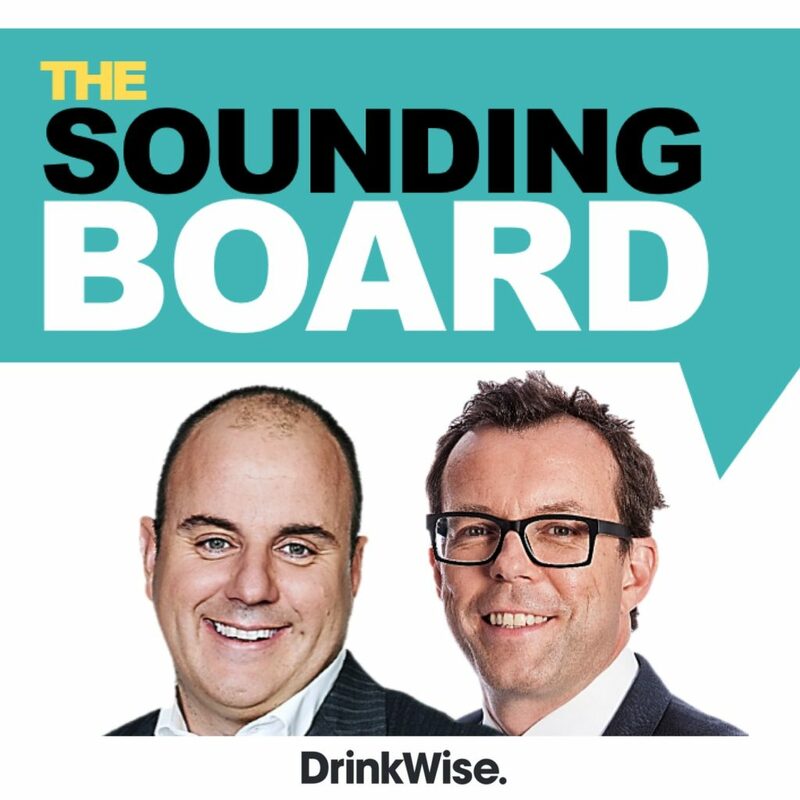 The Sounding Board has attracted a major sponsorship deal too, with the alcohol industry’s DrinkWise campaign signing up. The podcast is the most listened-to Australian original sports podcast that is not a spinoff from an existing TV or radio property. That distinction is important for the hosts as Barrett told Mediaweek: “I didn’t want to do just an extension of what we all do on radio and TV, we wanted to make it a different platform. Although we might cringe a little at our early efforts, at least we were true to the aim of being different. Barrett however can also surprise his co-host sometimes with reveals of what has been going on in football media. “The discussion can go somewhere we didn’t expect it to, which is probably one of its attractions for the audience. While Barrett is usually in the Crocmedia studio, Hutchison two weeks ago was in the departure lounge at JFK International Airport in New York and then last week was checking in from Perth. The show’s audience is international with a segment about where people listen to The Sounding Board being flooded with contributions from exotic locations in all corners of the globe. Barrett left News Corporation in 2009 after 20 years of covering sport, arriving at what was back then a much smaller Crocmedia organisation. 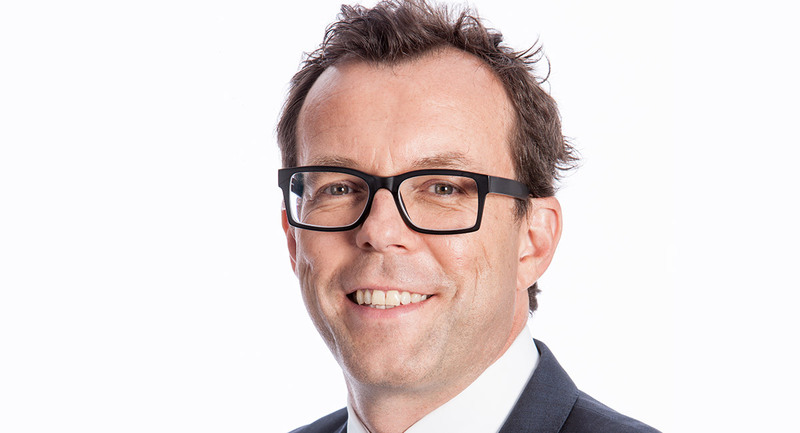 During those years at News, Barrett worked in Sydney for a year, did three years in Brisbane on The Courier-Mail in addition to his time in Melbourne for the group, most of it on the Herald Sun. Barrett admits he took a leap of faith in what Hutchison was offering him eight years ago. 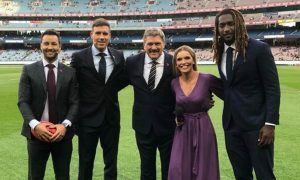 “I was very settled at the Herald Sun and it was a risk to go.” Part of his remit was to appear as the AFL news reporter on Nine’s AFL Footy Show, replacing Hutchison who stepped down to focus on his media business. Barrett and Hutchison are now both on The Footy Show of course after Nine appointed Hutchison as co-host this year after James Brayshaw departed. Because he is not an ex-player, Barrett doesn’t comment on match strategy or how the game is playing out. “I will prod and probe and ask questions and maybe deliberately annoy people with an opinion to get others to expand on certain things. I don’t like it when someone who hasn’t played the game gets told ‘What would you know’. I realise I don’t know the game. People who think they do can be exposed for that. 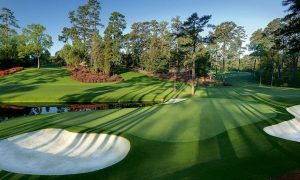 Asked if there is a place in sports media for journalists as well as the growing number of former players moving into media, Barrett said: “It is an interesting divide. When you talk to some ex-footballers who have been in the media for maybe 10 years they can still talk about the media derogatorily, as if they are not part of it. I don’t ever take it too seriously though. When they say that though, they tend to look down on people who haven’t played before. 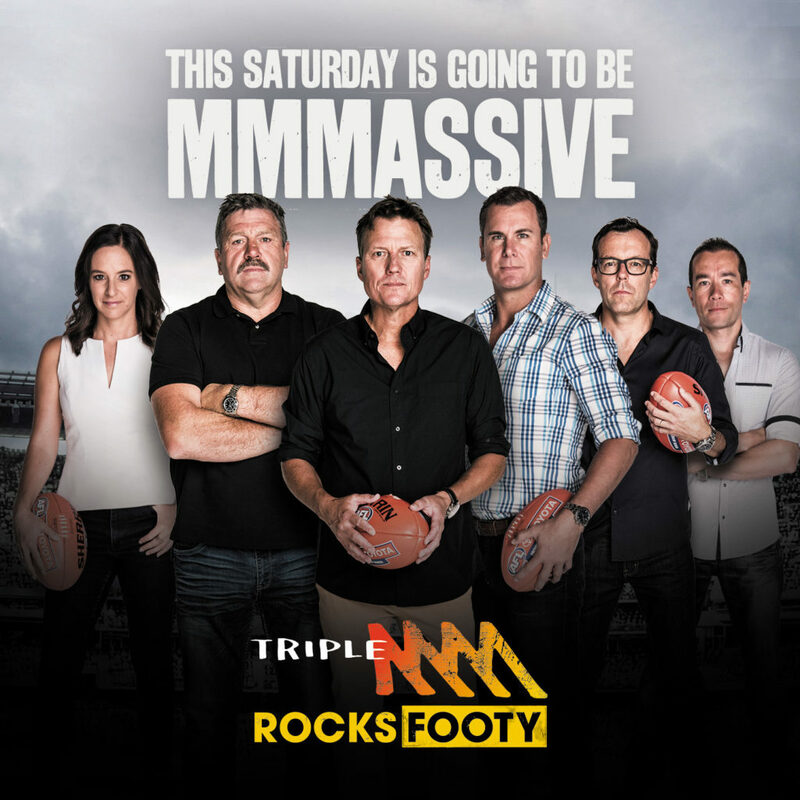 Partly because of the polarising effect of Sam Newman, people seem to either love or hate Nine’s AFL Footy Show. So when a contender for its crown arrives in the timeslot it certainly drives plenty of media interest. 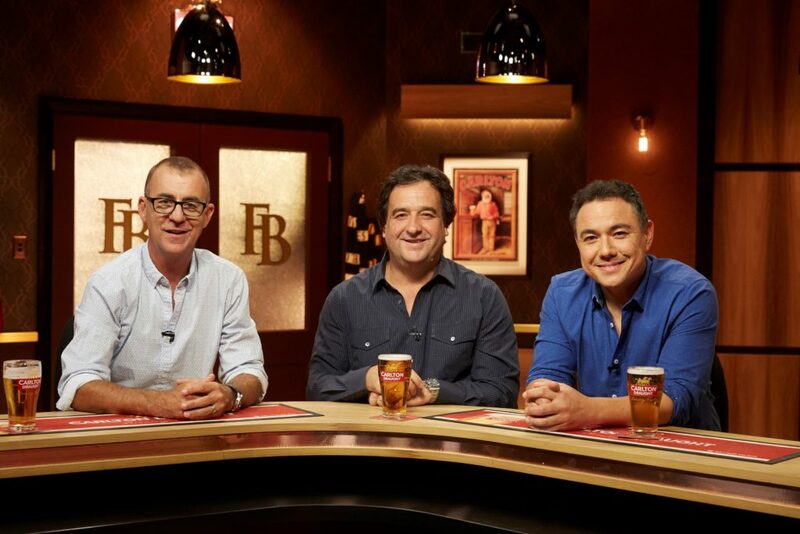 That contender this year is Seven’s The Front Bar which has moved from after the Friday night game to 8.30pm Thursdays, up against The Footy Show. Without asking Hutchy to report on his own performance, Barrett offered the following insights on what has been a big year for the Crocmedia CEO.